Looking for a place to rejuvenate that’s off the beaten path? 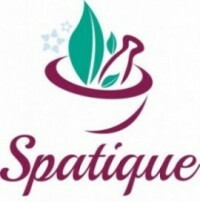 Great, because that’s exactly where you’ll find Spatique! Our skin care and wellness center is a beautifully restored, century-old cottage near the southeast corner of Metcalf Avenue and 151st Street in Southern Johnson County. The atmosphere at Spatique radiates a sense of relaxation and rejuvenation in spacious treatment rooms with soothing ambiances. You will experience an impression of stepping into a private oasis of serenity infused by sensory pleasing aromas, cozy candles and calming background music during skin care and body therapies. In addition to your exclusively dedicated time for therapy and relaxation in larger than average treatment rooms, the charming cottage features a welcoming reception and retail area offering clinical skin care for home use, holistic wellness and weight management products, and a selection of the finest cosmetics to give expression to your individual personality. We specialize in providing personalized, professional therapies for weight loss, anti-aging skin care and body sugaring hair removal. Sugaring since 2013, we are the first full service skin care center in the Kansas City metro to offer the art of body sugaring hair removal — an all natural alternative to waxing. Our focus is on holistic, non-invasive and clinically effective treatments using the most natural ingredients to enhance and maintain your overall health, wellness and self-image. Let us help you discover the power of a positive self image! To provide gentle, non-invasive and chirally correct skin care treatments in a serene, charming, refined retreat with relaxing space for therapeutic renewal, while educating clients on integrating nutritional wellness into their daily personal care regimen. For every client who enters our establishment, our desire is to offer an exceptional experience accentuated by tranquility and a healing touch. professional skin care and wellness therapies. You will always receive quality service, expertise and a fabulous client experience.